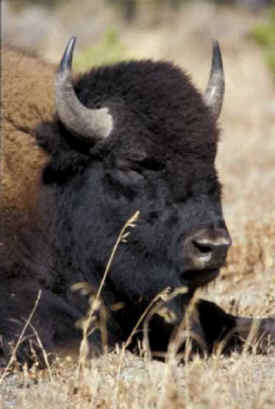 The Montana Department of Livestock just killed two bull bison that entered a “no-tolerance zone” in southwest Montana. This action is completely unjustified as these two animals are male bison that pose no threat of brucellosis transmission to cattle. Contact the people below and tell them to stop implementation of the “Zone 2” drop dead line (no tolerance zone). It is a proven failure. Management intervention should be based on land owner tolerance outside the Primary Conservation Area, similar to how grizzly bears are managed. Furthermore, one was shot on U.S. Forest Service public land on the Gallatin National Forest. These are your public lands. This is exactly why the Gallatin Wildlife Association drafted and sent the attached letter to all the Interagency Bison Management Planning partners just last week. It is time for the “Zone 2” drop dead line (no tolerance zone) concept to go. It is a proven failure. While our letter responds to DOL actions taken against bison north of Yellowstone National Park in the Gardiner Basin, the principles apply to these more recent actions to kill bison just west of the Park. We have suggested a “Primary Conservation Area” concept be adopted for bison in southwest Montana, which would designate critically important habitat for bison and then allow for bison movements beyond those areas recognizing that less tolerance is likely but not a given. Basically, the need for management intervention would be based on land owner tolerance outside the Primary Conservation Area, similar to how grizzly bears are managed.